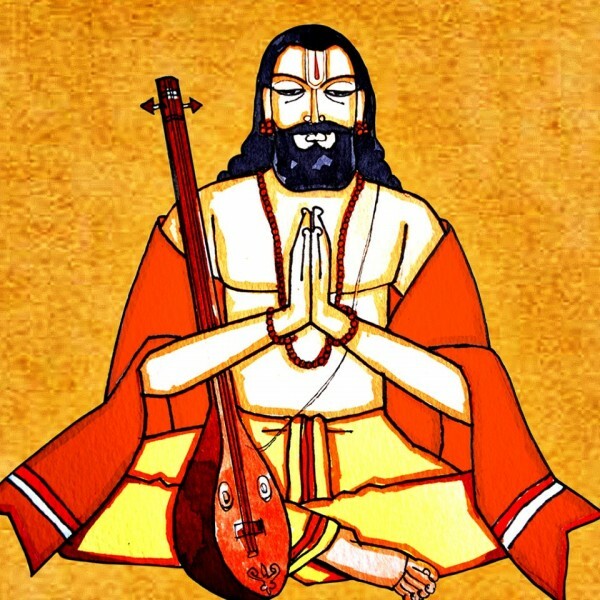 Ramachandraya Janaka Rajaja Manoharaya is a famous Mangalam song i.e. benediction song in Telugu language, composed by Bhakta Ramadasu of 17th century C.E. He was an ardent devotee of Lord Rama and constructed Sita Ramaswamy temple at Bhadrachalam during his tenure as Tahsildar of the place. In this Keertana Bhakta Ramadasu glorifies the qualities of Lord Rama. The keertana is sung in Navaroj raagam which is very much similar to Sankarabharanam ragam. Navaroj raagam is adopted from the folk lores (janapada geyams).